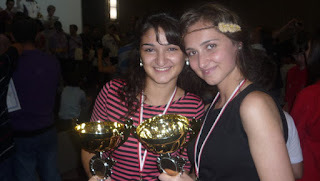 The last European Youth Chess Championships, held in Batumi (Georgia) from the 20th to the 28th of September, were very successful for CPA members. Two of them won the Gold medals! To read the full story (in Spanish) and see who else did it extremely well, just click here! It's really a great and helpful piece of info. I am satisfied that you simply shared this helpful information with us. Please stay us informed like this. Thank you for sharing. What's up mates, its great article about cultureand fully defined, keep it up all the time.